Some weekend mornings, the four of us stick together. Other times I will take one child to do something, while Tyler takes the other. This past sunday, Poppy and I found ourselves with some one-on-one time which we used to go grocery shopping and bake 'pretty' muffins. When I asked her what type she wanted to bake, her response was 'pretty ones!' 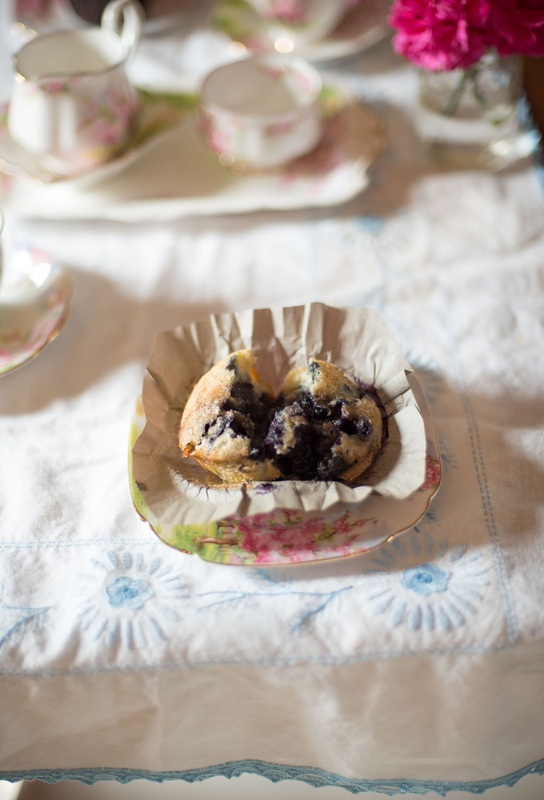 We choose blueberry, which we loaded with frozen blueberries, and baked in pretty paper liners. 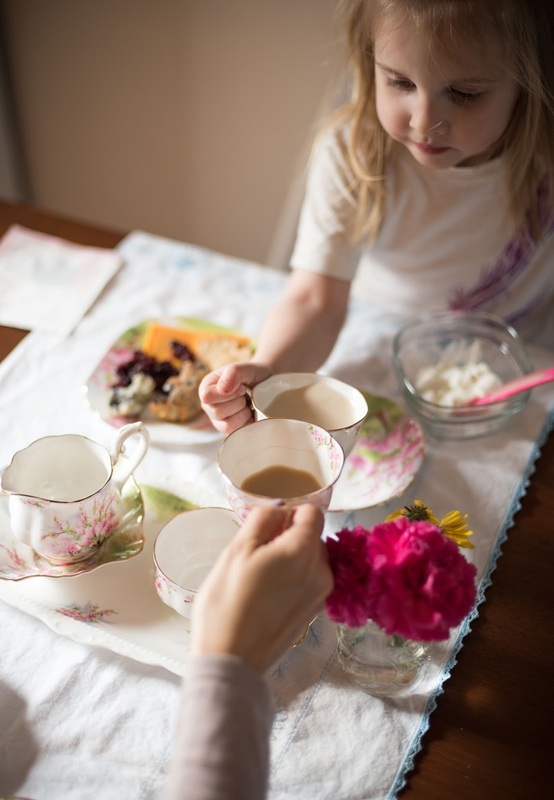 As I was cleaning up the kitchen, Poppy set up a tea party for us in the living room. It also happened to be a 'no-show sunday', which we implement from time to time when the kids seem to be getting too attached to TV. Lately, Poppy has asked 'May we please ring daddy at work?' and 'Can we play in the garden?' Both of these british sayings come directly from Peppa Pig, and while cute, definitely reinforced that the kids have become a tad obsessed. 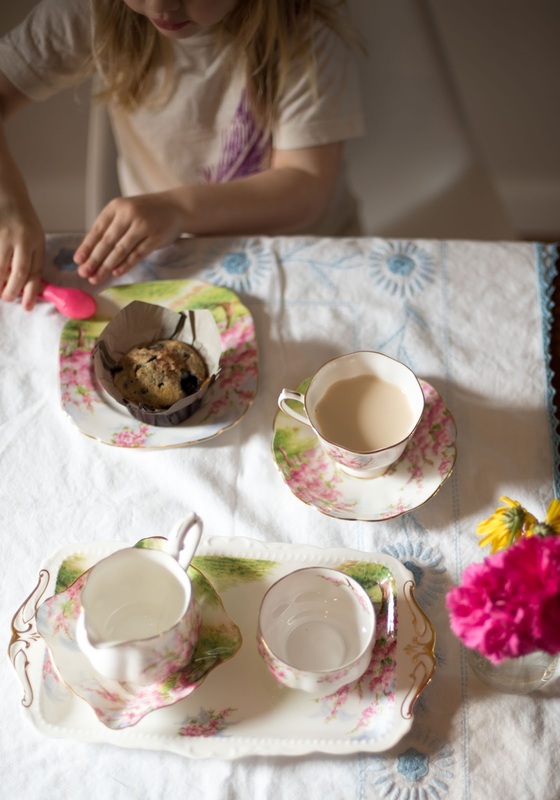 Anyways, by the time we were done having our pretend tea party, the muffins were cooling and we were getting hungry for lunch. 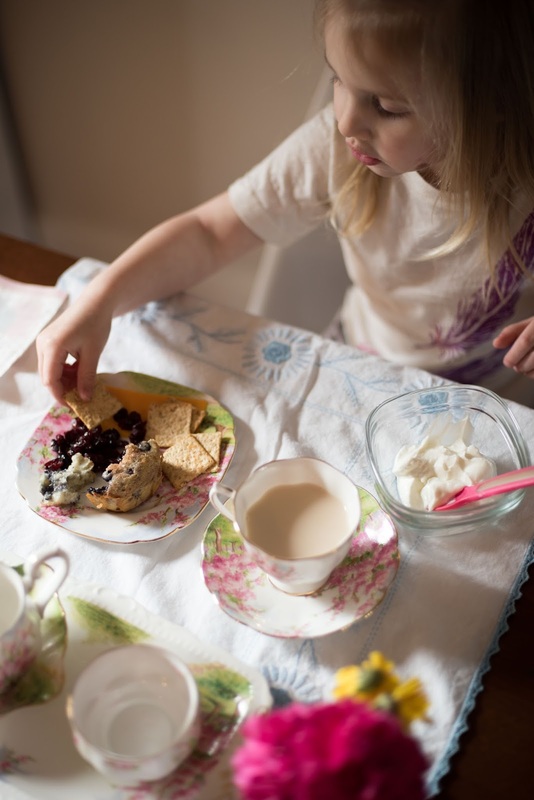 I pulled out some pretty china dishes, and set about making a real tea party for us! We happily nibbled on muffins and sipped our tea, waiting for the boys to come home. Sometimes small, and spontaneous ideas are the best.